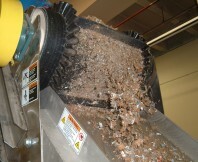 A Ferrous magnetic repels ferrous metals, Iron, steel, nickel and cobalt. 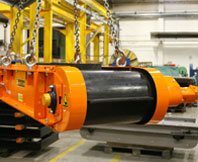 Ferrous magnetic separators usually work along side Eddy current magnetic separators, separating out valuable metals that are destined for Steel foundries. 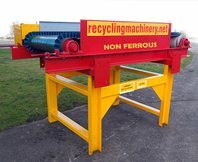 The right type of Ferrous magnetic can improve yields, and RS engineers have over many years set the standard for high quality, high performance ferrous magnetic separators, giving you the highest possible yields from your waste stream process. 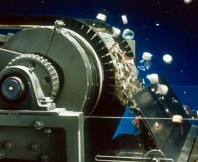 Important: If the wrong sized ferrous magnetic is installed on your line, and too much ferrous metal mixed with non ferrous metal passes to the second magnetic, the Eddy current separator, the over volume of mixed metals can cause a melt down in the eddy current motor and would be very expensive to repair. 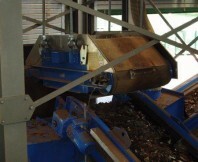 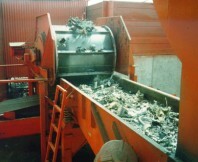 Both types of Magnetic separators are installed over or within conveyor belts after a first shred has taken place.